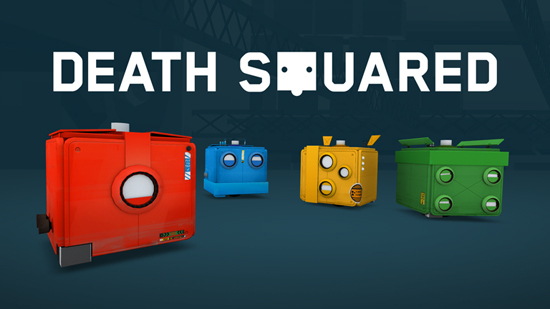 Just spent too long playing Death Squared on my Switch. I know most of you have played it on your PC, Mac PS4 or XBox One then you know the feeling. This game is so, so addictive, you have to try it, started with me and my boy playing it then the rest of the family wanted a piece of the action. It's so moreish and the puzzles are amazing, now the wife's playing it i don't know when i'll get my dinner! P.S. She stopped playing at 3am and only then because she couldn't stay awake! Complete the main campaign in single player or with two players, then take a group into four-player Party Mode for the ultimate teamwork trial! For those that can't get enough, head to the 'Vault' to find extra experiments recommended only for the brave. You have to solve puzzles using two blocks one red one blue with each action interacting with the other, it's simple yet absorbing. Once you've played it in single or two player modes then there's Party mode or Group (4-player) mode! It's one of the most addictive games I've played. On my own or with the family they really have worked hard to think this through. I played the Nintendo Switch version and it's amazing. Only the second game I've played on my switch and I love it! Fantastic puzzle co-op game with 80 levels. Includes 30 "Vault" 2 and 4 player levels for those who want an even bigger challenge. Deemed too hard for the main game with more coming post launch for FREE! The only down side is the voice over, slagging you if you make any mistake or take to long!